Host in style with seasonally glam serving essentials. The season of socializing is upon us—and if you’re playing hostess this holiday, there are probably approximately a million things you still need to do before your guests arrive. But while you’ve been perfecting your eggnog recipe, we’ve been tracking down some festive entertaining essentials. 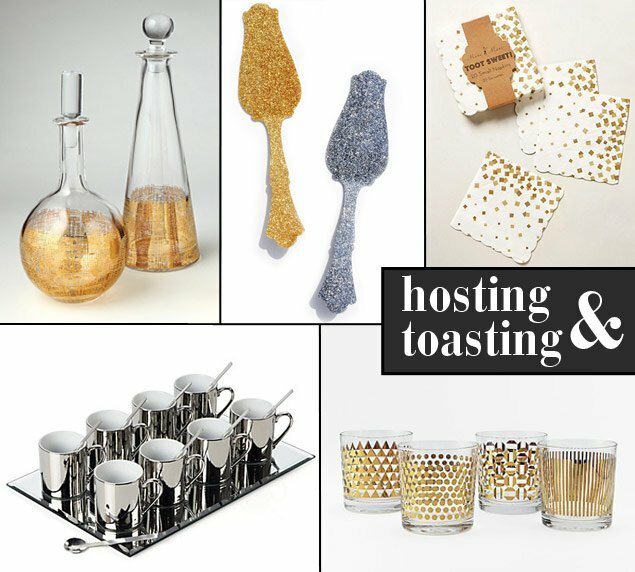 From cocktail shakers and decanters to dessert plates and cheese boards, click through the slideshow to shop 15 must-have metallic serving accessories that’ll help you throw the perfect soiree.